Developing a new mobile app for Android or iOS? Anticipate the challenges of mobile app development and tap into the cloud to enhance app functionality. Mobile app development is rapidly growing. From retail, telecommunications and banking to insurance, healthcare and government, organizations across industries must meet user expectations for fast, convenient ways to conduct transactions and access information. Today, mobile devices are the most popular way for people to connect to the internet. To stay relevant, responsive and successful, organizations need mobile apps. Yet mobile app development might seem daunting. Once you’ve selected the OS platform or platforms, you need to overcome the limitations of mobile devices and usher your app all the way through the potential hurdles of distribution. Fortunately, by following a few basic guidelines and best practices, you can streamline your development journey. To learn more about the specifics of developing either platform, read our articles on iOS app development and Android app development. 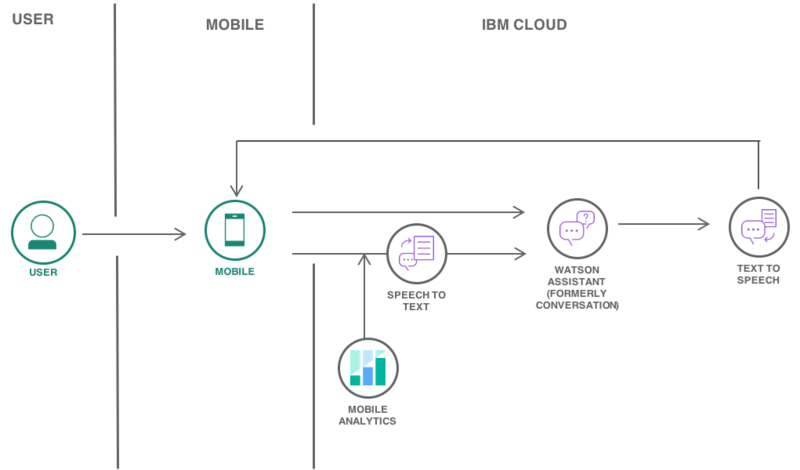 To explore mobile app development, IBM offers a simple tutorial on building a voice-enabled Android-based chatbot. Many independent app developers choose to build their apps for Android. Why? The vast majority of smartphones run Android; Android development is often easier than iOS development; Android development does not require owning a Mac, which would be more expensive than a PC; and the Google Play store has fewer restrictions than the Apple App Store. Depending on the intended use case for your app, you might have other considerations. For example, if you’re designing an app for your organization’s employees, you’ll need to support the platforms they use, even if that means developing for both Android and iOS. Or if you’re building a mobile app for your customers — and you know the majority of your customers use iPhones — iOS will be a top priority. Develop for both Android and iOS: Native or hybrid? Let’s say you need to develop for both Android and iOS. What is the best approach? You could develop two native applications. Taking advantage of native APIs and OS-specific languages can help you build a powerful app. Most enterprise apps, especially ones that require substantial API traffic, benefit from native development. If you decide to develop native applications in serial, you’ll likely want to begin with Android — for some of the same reasons that independent app developers often focus on Android. You’ll probably have better luck developing the full application as a proof of concept on Android and then converting it to iOS after release. You will still need to rewrite the code for the native language and redesign the user interface, because the different operating systems function very differently. So why not start completely from scratch? While you can’t simply recompile the code into a new language, much of the back end can be replicated across platforms. Frameworks, libraries and third-party extensions often function identically in either environment, allowing you to avoid costly rework. You can also use a pre-built mobile cloud service, such as IBM Mobile Foundation, to manage the web back end. Whether you choose native or hybrid development, one of the first hurdles you’ll need to overcome is the relatively limited resources on mobile devices. Your target mobile device will have much less processing power and memory than desktop computers or enterprise servers. These constraints might seem like a significant challenge, especially if you’re more familiar with the comparatively boundless resources of conventional development. Limited mobile platform resources mean you need to adjust your goals for your app. Your mobile app must be less resource intensive than a desktop application. Your user interface should also be simpler for a mobile app than a desktop application interface. By creating a straightforward interface that is focused on critical functions, you can provide a better user experience while consuming fewer resources. Your mobile app interface should be designed for touch. Mobile users must be able to navigate your app easily and provide input without excessive typing. Fortunately, these requirements for efficient, simple touch-based apps map well to user expectations. Mobile users generally want to accomplish tasks simply, with just a few taps. They want apps that are above all fast, convenient and easy to use on their mobile devices. What if your mobile app requires more processing than a typical mobile platform can support? Consider offloading that processing to the cloud. Through the judicious use of APIs, you can connect your app to cloud-based services and databases to provide advanced functionality without slowing your application or straining the device it is running on. You can even offload data storage and caching to a cloud-based server, leaving very little data on the device. The cloud can offer additional advantages beyond performance boosts. Connect your app to powerful cloud services to add features and improve usability. Employ APIs to integrate new features. IBM Cloud™ offers a number of advanced cloud-based services that can help you enhance your apps, such as push notifications, IBM Watson®-powered AI analytics, Internet-of-Things (IoT) smart device integration and more. Neither Android nor iOS is a completely open environment. Before your application can be officially distributed, you’ll need to join the appropriate developer program. The Android developer program lets you use your existing Google account to create a developer account, pay the USD 25 fee and submit your application. Google Play, the official Android store, does have quality standards that must be met prior to publication, but they’re more guidelines than actual rules. You can also distribute your applications outside the Google Play store and allow users to directly download and install them. By contrast, the Apple developer program sets a higher barrier to entry. You need to pay a USD 99 per year program fee and adhere to high quality standards. Once you’re a member of the program, you get early access to beta versions of the operating systems and proprietary frameworks or APIs. Meeting the high standards for the App Store also signifies to the world that you’ve developed a high-quality app. Mobile app development is necessary for most enterprises. When you build your application with both operating systems in mind, try to make judicious use of APIs and understand the specifics of the required developer programs. That approach will help you deliver an app that’s flexible, convenient and lightweight — the perfect way to serve information or services to your users. IBM Cloud News connects you to insight and information you can put to work right away.